COLUMBIA, SC - Fireflies ace P.J. Conlon took home a MiLBY (pronounced mill-bee) on Monday, Minor League Baseball announced. The Mets prospect was awarded the Top Starting Pitcher honor as voted on by fans. Conlon ran away with the award, pulling in 63% of the fan vote. The next closest nominee gathered just 9%. "It is very humbling and a huge honor to be recognized in this way, and the fact that it was fan voted made it that much better," Conlon said. "The support I've received since day one of being in the Mets' organization has been unbelievable and I can't thank everyone enough." Conlon shined during his half-season in Columbia. Before being promoted to the Advanced-A St. Lucie Mets, the 22-year-old left-hander was named a South Atlantic League All-Star and from April 14-May 23, won seven consecutive starts. The Placentia, California, native finished his 2016 season with a 12-2 record and the lowest ERA (1.65) in all of Minor League Baseball. "Looking back at this season, it was very special to me and was a ton of fun. I just tried to take the mound every time it was my turn and give my team all I had that day in order to put us in a situation to win. I was lucky enough to play on two very talented teams so those guys deserve the credit." Conlon has already earned one Pitcher of the Year distinction. The New York Mets named him the most outstanding pitcher in their entire organization for 2016. 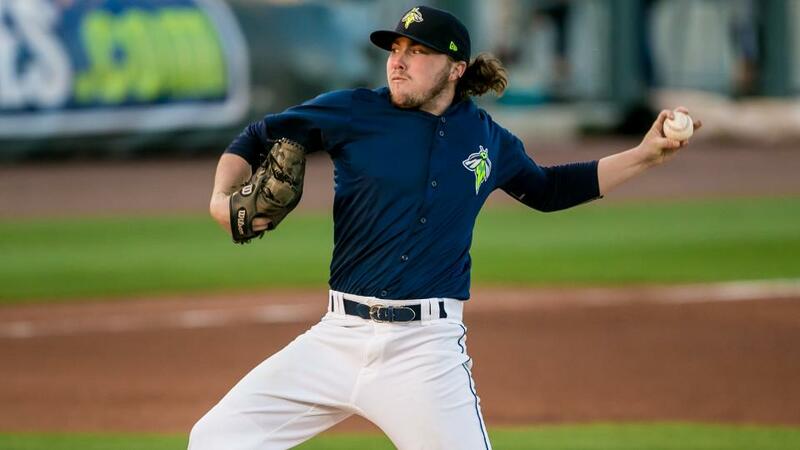 The lefty's most prolific moment in Columbia occurred on June 4, when he tossed 10 innings in his start against the Hagerstown Suns (while using just 97 pitches) - the longest outing for any MiLB pitcher since September 4, 2005. "That was definitely one of the best I've ever felt during a game and I'll remember that game for a very long time. I think that was one of those rare days where all your pitches seem to be working…So it was a great mix that night of feeling good and the guys behind me playing flawless like they did many times. Those two factors just created a lot of confidence in myself and I was able to attack hitters and take advantage of their aggressiveness that night and have quick innings which resulted in actually being able to go 10 innings on a 100-pitch limit." Conlon was drafted by the Mets in the 13th round of the 2015 MLB First-Year Player Draft. Conlon will enter his third season of professional baseball in 2017 as the no. 26 rated Mets prospect, according to MLB.com. The Fireflies' Purple Game, Purple Game night is also in the running for Promotion of the Year. That winner will be announced on November 2. Don't miss the moments that will be featured in the 2017 MiLBY Awards. Purchase your 2017 season tickets by visiting FirefliesTickets.com or calling the Fireflies Box Office at (803) 776-4487.